Scripps Networks Interactive has promoted two of its senior management team, following the announcement last week that Brooke Johnson is to retire as president of Scripps Networks Interactive’s lifestyle channels. 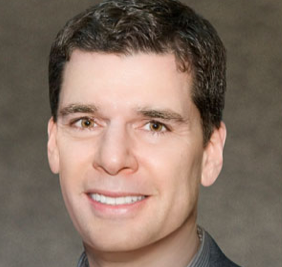 Under the reorganisation, Scripps Networks president Burton Jablin (pictured) becomes chief operating officer of Scripps Networks Interactive, overseeing sales, distribution, programming, digital and strategic planning for the company. Jablin will continue to report to Scripps Networks Interactive CEO Kenneth Lowe, but will also now be tasked with making sure there is greater coordination and cooperation between Scripps Networks’ domestic and international programming, as the business continues to expand globally. At the same time, president of HGTV, DIY Network and Great American Country, Kathleen Finch, has been appointed chief programming, content and brand officer. She will take responsibility for content across all six of Scripps’ domestic networks including Food Network, Cooking Channel and Travel Channel and will report to Jablin. “As Scripps Networks Interactive continues to grow, both in the United States and internationally, it’s important that we take a more coordinated approach to how we operate our business and create content,” said Kenneth Lowe. Jablin was part of the original team that launched HGTV in 1994 and held a series of senior production and programming roles within the company, prior to becoming president of Scripps Networks in 2013. Finch first joined Scripps Networks in 1999, as senior vice president of primetime programming at Food Network. The appointments come after Brook Johnson announced she is retiring from her post as president of Scripps Networks Interactive’s lifestyle channels, which include Food Network, after 12 years in the post. At the same time, Shannon O’Neill, president of Travel Channel, has been appointed as managing director, finance and operations of Scripps Networks Interactive’s US networks, reporting to chief financial officer Lori Hicko.